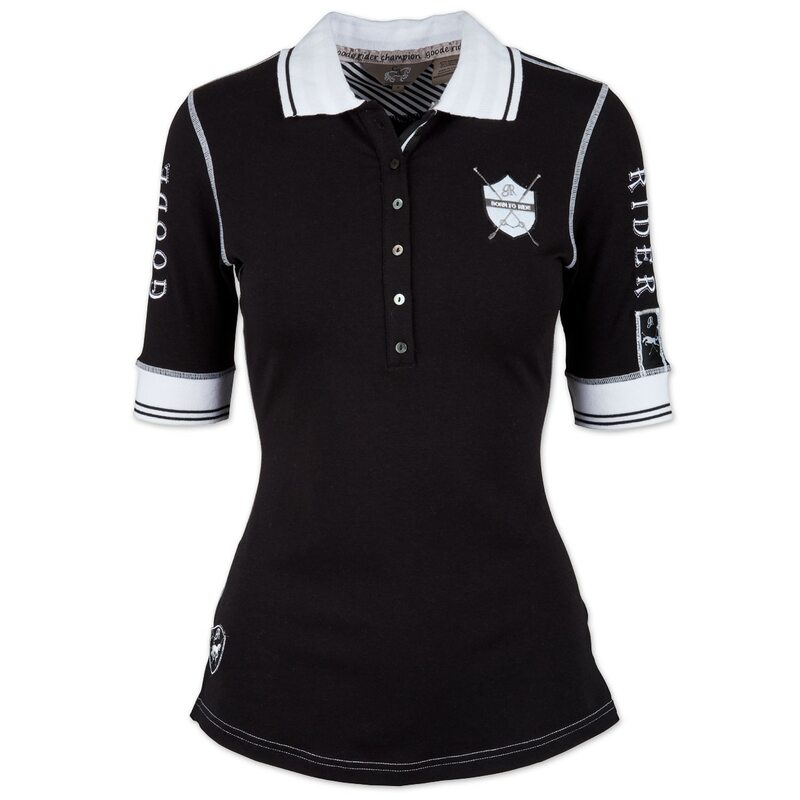 The Goode Rider Champion Polo is silky yet technical. This fun polo is as functional as it is flattering. 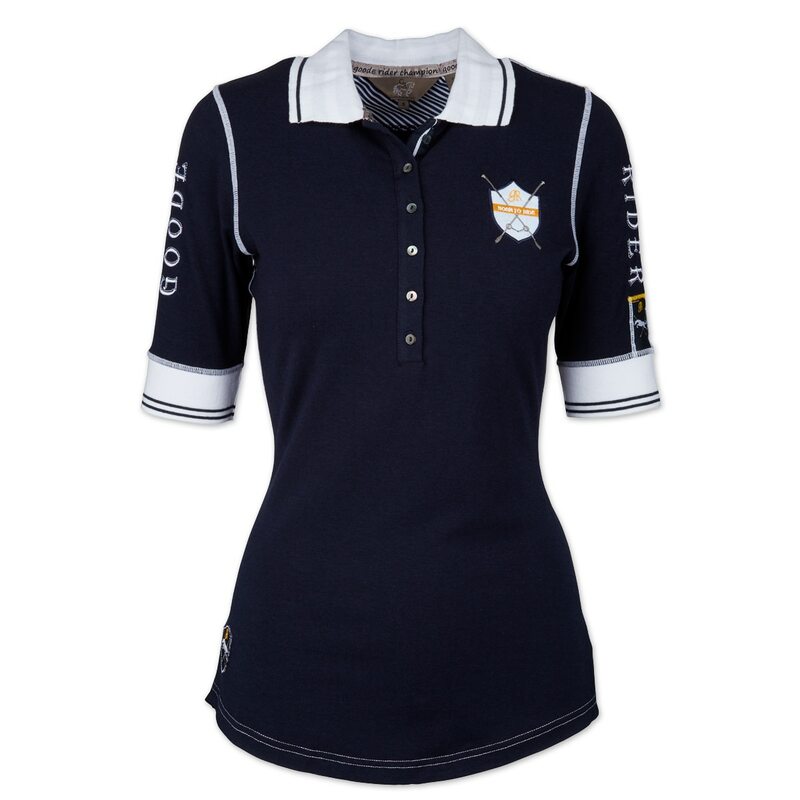 Slightly longer sleeve with contrast logo embroidery details throughout shirt. Each colorway has a different embroidery with a catchy saying in back. Ribbed Collar with a striped pattern on back, can be worn up or down. Cuff also has a ribbed banding with a stripe. Feminine mother of pearl buttons on placket. 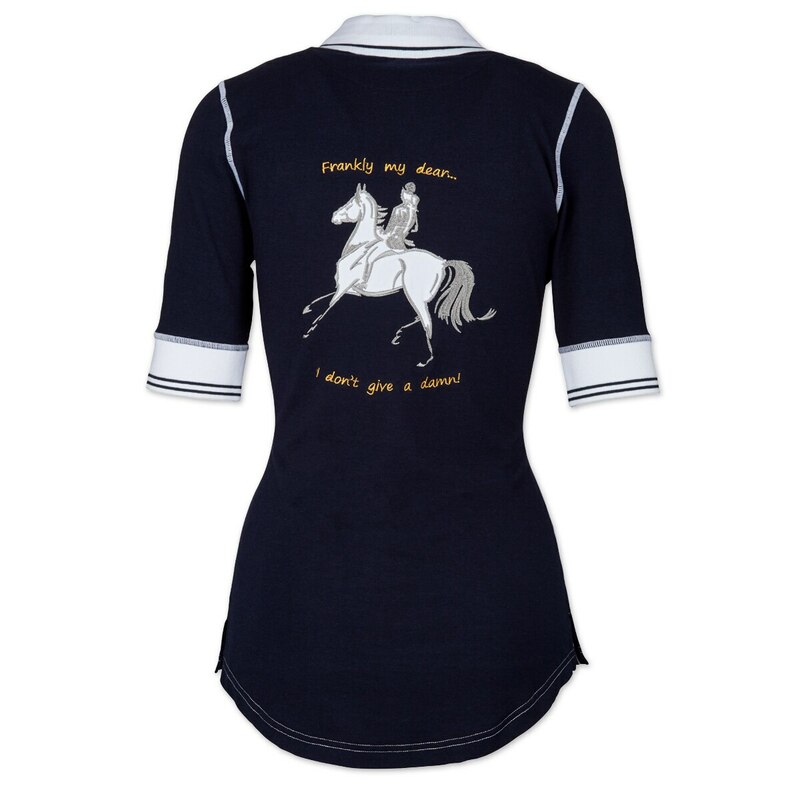 The perfect riding shirt to any clinic or just for schooling.